Hello! Happy Sunday!!! 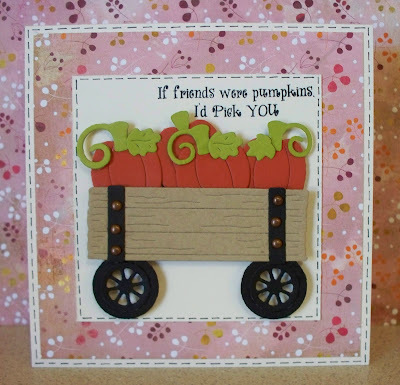 For my card today I used the Turkey w/Pumpkins die for my pumpkins, and the Hay Wagon die. I LOVE the cool texture on the wagon. 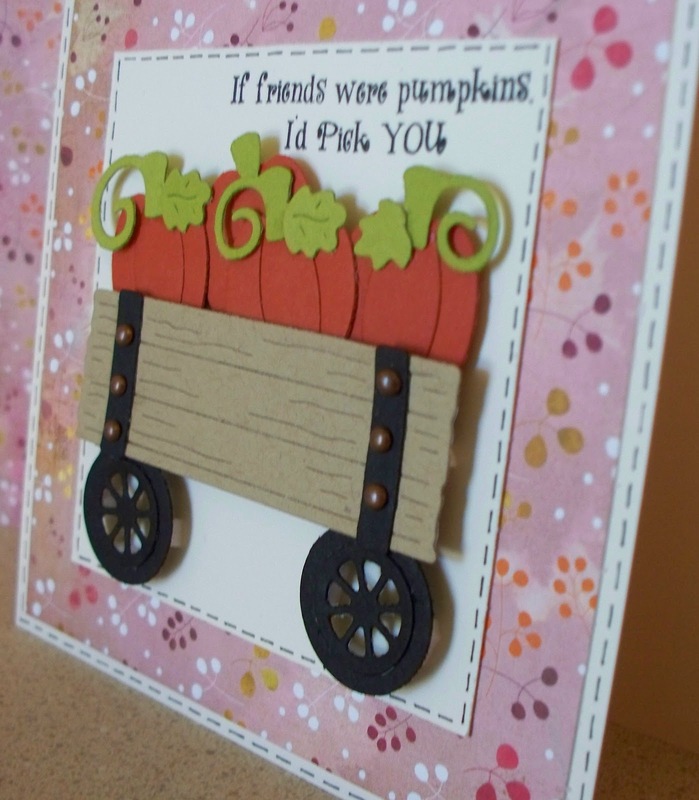 I used mini brads for "nails" in the wagon. I hope you're having a restful Sunday! See you back here next week! Love the brads for the nailheads!! Great idea! Fantastic card, Nikki! 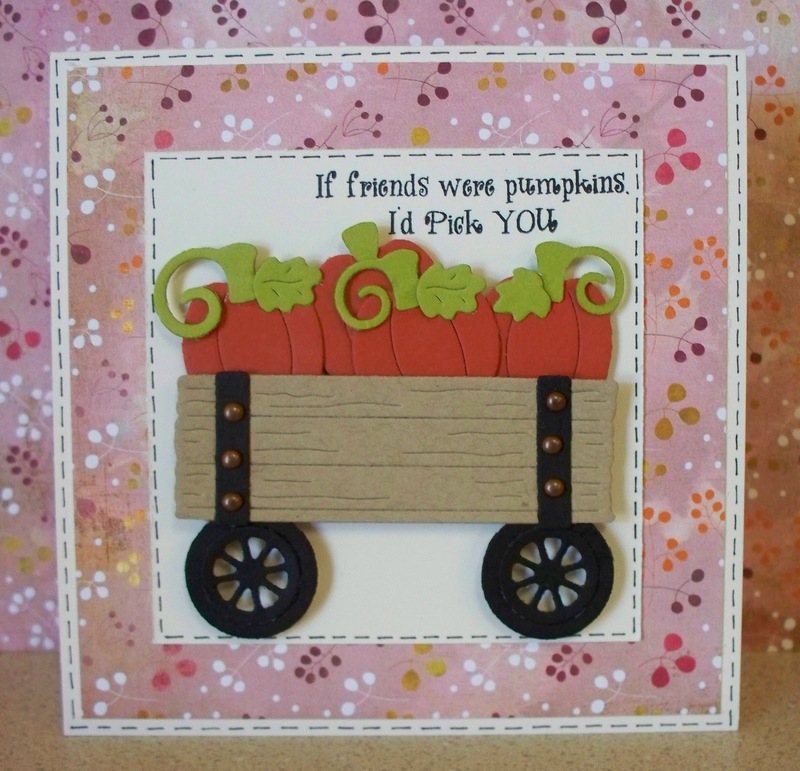 I love the hay wagon die, and filled with pumpkins, it's just perfect for this time of year. I love the sentiment you chose, too. It just couldn't be more perfect. Great job! !